The Presidential Election will soon be over, and a whole bunch of election stuff will be going back to self-storage for the next four years. It’s amazing how much work goes into the U.S. Presidential race, as well as the amount of campaign items that are produced. So maybe the big winner in the Presidential Election is self-storage, as it gets paid regardless of who is victorious. 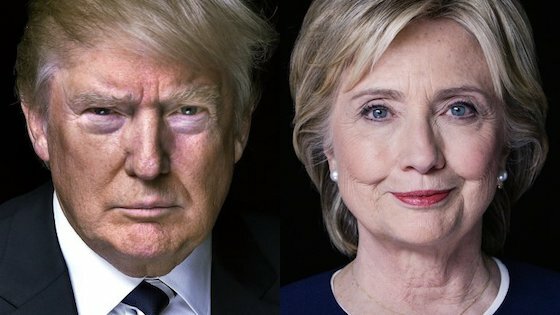 And speaking of the election, what will be the impact of a Trump or Clinton victory on the self-storage industry? That’s the first topic we’ll go over in this month’s newsletter. Hope you enjoy it. There’s a lot of debate on which candidate will be the best for the U.S. economy. But the truth is that self-storage seems to do well in both booms and recessions. Why is that? In times of economic prosperity, Americans buy more material possessions to store. And in recessions, they have much more personal dislocation (downsizing, moving for a new job, etc.) and use self-storage as a safe harbor for their personal possessions during times of crisis. That’s why self-storage occupancy rates have been so stable since the Great Recession began in 2008. Virtually no impact on this issue. The only exception might be those cases where companies store their excess product in self-storage prior to distribution (but even then, it’s debatable if a restriction of trade would make that increase). So Trump or Clinton is a wash. This is another issue that has little impact on self-storage. Since most people store items in times of dislocation, it could make occupancy go up. However, it could also remove customers who are currently renting units. So the impact of Clinton or Trump would be negligible. In this case, we think that Trump would be better for the industry. With Obamacare falling apart and annual premiums for 2017 increasing by up to 50%, this is going to put a great deal of pressure on that monthly rent amount for a storage unit in many household budgets. Trump has vowed to end Obamacare – and Clinton to continue with the program – so on this issue Trump would be better. People who have no money also tend to have no material items and, therefore, no need for a storage unit. As a result, the minor increase or decrease in social subsidy payments has minimal effect on the industry – so this issue is a draw. The last base closures in the U.S. were in 2005, so this could be a big issue. Trump and Clinton have different ideas on military build-up, and soldiers are huge users of self-storage, which they use to store their material goods while they are deployed. So the bottom line is that the candidate that will increase military strength – and not decrease it – is best for the industry. On this issue, Clinton is the better choice. Higher wages will lead to additional consumption and, as a result, more storage demand. Trump has vowed to try to keep minimum wage low, so that would not be a positive for the storage industry. This issue is definitely all Trump. Higher taxes will reduce disposable income and, as a result, less consumption and less income to pay for storage. The only mitigating circumstance is that Clinton claims that she will be targeting those who are high-income earners, so it’s still unclear how many storage customers we’re actually talking about. OK, this is the big one. A change to capital gains tax has a huge impact on real estate. Clinton has vowed to increase this key real estate tool, and that will damage gains going forward. However, it will have some positive benefits as the mere mention of this change will result in a large number of mom and pops wanting to sell their properties quickly to capture the current tax rate – which is good news if you are a buyer. It will also create more demand for 1031 deals. So the best way this could work out is if Clinton won yet the Republicans control Congress. That way the news would get out – creating a flurry of facilities going on the market – yet without the actual tax ever being enacted. We saved the biggest one for last. Real estate has enjoyed some of the lowest interest rates in American history since the election of Obama. This has created incredibly attractive loans and great spreads on commercial real estate. Since Clinton appears to be a continuation of the Obama administration, then this would be hugely positive for self-storage. On top of that, Clinton’s frequent (and highly paid and secretive) speeches to big banks seem to suggest that she will be well received in the banking world. Since low and stable interest rates are a huge part of real estate investing, this one topic is more important than any other to the self-storage industry. The storage industry is very well insulated against the Presidential Election. There will not be a huge issue whether it’s Trump or Clinton. The interest rate issue is the most important, and that would favor a Clinton win. But regardless of what happens, self-storage should be fine. Conrad Hilton’s first hotel was the Mobley in Cisco, Texas. It was a small, two story hotel in a small town in west Texas. Hilton was depressed because he wanted something more out of his life. His mother told him “if you want to launch big ships, you have to go where the water is deep”. So how does that comment relate to self-storage? To get involved in deals that have typically have the highest upside as far as demand and buyer excitement, you have to go where there is a major population. You cannot hope to push rents or occupancy in small markets, as the supply and demand curve is not in your favor. But this requires taking bigger risks, as these type of areas are more expensive and competitive. It’s kind of like playing in the NFL vs. the Canadian Football League. Bigger markets equal bigger dollars. 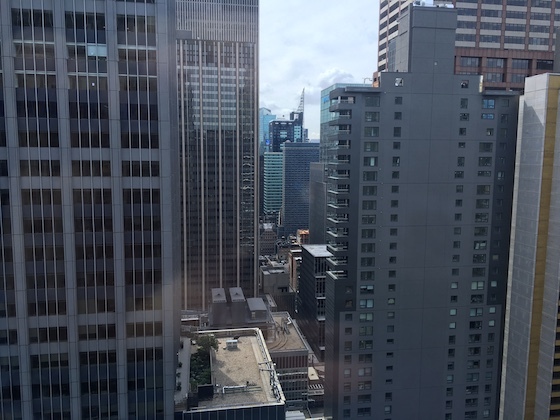 Conrad Hilton’s first hotel was very small – maybe 20 rooms. Following his mother’s advice, he started building giant hotels with hundreds of rooms each. It’s a simple formula that to make big money you have to have a large quantity of units. But equally important to larger facilities is the simple opportunity cost of your time. Hilton lived in the Mobley and he worked the desk 16 hours a day 7 days a week. So he basically devoted his life to a 20 unit hotel. That same amount of time could be spent on a 200 unit hotel and with ten times greater economics. The macro meaning of Hilton’s mother’s statement is that you simply have to get out of your comfort zone sometimes to achieve your dreams. Hilton needed a shove to get him into a bigger level of play. Walmart is another good example. It began in 1945 as a Ben Franklin dime store in a small town in Arkansas. Had Sam Walton not expanded into larger markets, he would have remained simply a small town businessman with one store. But he left that simple world to build the retail giant that has dominated the industry. Conrad Hilton’s mother was 100% correct regarding all forms of real estate, including self-storage. Are you going where the water is deep? As technological advancements fly at us faster than you can say "Moore's Law" 7 times while eating peanut butter, some of these advancements have inevitably ended up in the self-storage world. Although these cutting edge gadgets aren't necessarily found in every self-storage facility, they are starting to find their way into real life utilization. Who knows which technologies will triumph and become ubiquitous in the future, but in the mean time it's fun to take a look their potential. Here are 7 cool self-storage technologies. Having an impenetrable robot fortress to store priceless valuables like cars and paintings may seem like Scrooge Mcduck's dream, but now it's real! RoboVault is a high tech storage facility where much of the storage area is not accessible to human beings, but completely run by computers and robots. When a client wants to access their belongings, an automatic system retrieves stored belongings, and delivers them to the proper area. Combine that with biometric access systems and you have one secure storage facility. Nothing feels cooler than having you're eye scanned before gaining access to a top secret facility. Though biometric access systems aren't exclusive to the self-storage world, it only makes sense that it would make its way into the industry’s sooner or later. Retinal scan technology was developed in the 1980s. The retinal scan will read the blood vessels on an eye with a low intensity infrared light. The unique patterns on of blood vessels will let the computer system identify if someone should gain access or not. Very cool indeed. In the US there are at least 52,000 self-storage facilities, and it is an industry that is still growing by the day! Many of these facilities are individually owned and operated, so standardized pricing and features are not universally applicable. Considering that the majority of facilities offer multiple units with different attributes and prices, and you have a recipe for consumers to be overwhelmed. Aggregators like Storitz compiled thousands of facilities, and integrated them to one website to make it easy to compare self-storage units prices and features. Climate control has been an important feature for many self-storage facilities. Customers will sometimes have valuable possessions that can be damaged by extreme temperatures such as wine, electronics, or paintings. Of course maintaining ideal temperatures in areas that are extremely hot or cold can be a difficult and expensive challenge. Smartcool is a company that works with self-storage companies. Traditional cooling systems will turn on at a set maximum room temperature, and turn off at a set minimum temperature. Smartcool systems will dynamically change the maximum and minimum temperature ranges in order to optimize the temperature to electric usage. Eugene Song - Is the Online Marketing Specialist for Storitz. He enjoys long walks in the park, music production, and behaviorial economics. Unless you’re buying storage facilities for cash, you have to obtain a bank loan to make your purchase happen. And even if you buy something for cash, a future buyer will need to get a loan to buy you out. So the key question is: what are lenders looking for right now? Here’s what one of the industry’s largest bankers gave us for the current metric on what they’re approving. While there is no maximum, there is a minimum of around 100 units in deals that banks prefer. This size is considered to be large enough to afford a decent manager, and offers good upside in increasing rents due to sufficient volume. Most lenders are looking for loans that are at least $500,000. While that’s not set in stone, the problem is that smaller loans could simply be replaced with a single home loan, and that’s deemed less risky and more liquid to the banking committee. Most banks are looking for 75% to 80% occupancy – that’s what’s called the “stabilization rate”. It gives a banker confidence that the facility has sufficient demand going forward. Less occupancy – even though it’s a result of mismanagement – may scare the lender into questioning the market itself. Most lenders are wanting to see a coverage ratio of 1.25 to 1.3. That’s the amount of cash flow above the note payment. The bottom line is that they want to make sure that there’s sufficient money coming in to pay the debt in a timely manner, and with the potential for small hiccups to be overcome. In general, most lenders are wanting to see cap rates in the range of 8% or higher. But that’s very much tied to the property’s location, as California markets, for example, can see cap rates of 6% in good areas. Remember that cap rates only reflect the numbers at closing, but can be hugely affected by opportunities to raise rents and occupancy, as well as cut costs. Leverage is what gives real estate superior returns. These metrics give you some idea of what lenders are looking for, so you can focus on those deals first. You cannot be an effective self-storage buyer if you do not know how to negotiate. Few deals begin life priced appropriately, and the buyer has to get the cost reduced to make the transaction possible. So what are the key negotiating skills any buyer must know? How can you know what to pay if you don’t know what something is worth? The starting spot for any good buyer is to become a master at determining value. Start looking at as many properties as you can, and be a voracious reader of public REIT reports. You simply can’t learn enough or get enough information. When you can look at a deal and say “this should be priced at $_____ and anything less is a terrific buy”, then you are ready to be a great buyer. Smart buyers know the importance of “bonding” with sellers. This simply means spending time and building trust. 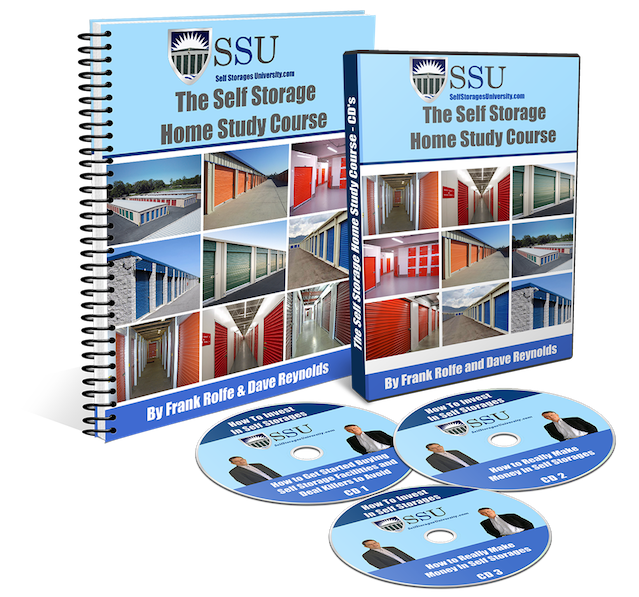 The best way to start such bonding is with the question “how did you get into the self-storage business?” and the answer can often take hours and give you the history of that asset. Most importantly, the more the seller likes you, the more inclined they are to negotiate a lower price and help you out. Any good buyer establishes a price that they will simply not violate. Knowing this firm ceiling allows them to exude the body language that signals to the seller that the upper limit has been reached. Sometimes this requires walking away from the deal, which often results in the seller calling to say they’ve changed their mind and will lower the price. It’s easy to be a “deal killer”. All you have to do is find a fault or two and say “this deal will never work”. The problem with that there is no perfect deal, and you’ll never do one if your focus is simply to put every deal down. Instead, become a “deal maker” and say “what would it take to make this a successful transaction”. For example, if the seller will not lower the price, will they seller finance at a low interest rate? Get creative, not destructive. Many great deals started out looking weak but grew into legends. Pixar, which produced Toy Story and eventually became worth billions, started out as a weak start-up that several times was almost shut down. Some buyers don’t realize that necessity to offer the seller complete VIP treatment to forge good deals. If you say you’ll meet with the seller at 1 PM on Thursday, then you should get there at noon to make sure that there are no traffic delays. If you are not bending over backward to make the seller like you, then you are making a huge mistake. Negotiating is an art, but you have to do the homework and take the effort to earn the right to even start the process. As you do more negotiation, you will get better and better at it. At some point, you will become really good – and really dangerous. Storage Wars is the program that follows the adventures of bidders on units that are being auctioned for unpaid rent. Often, the units contain nothing more than used furniture and junk. But sometimes there are valuable items found inside, too. So what’s the most valuable item ever found on the show? The answer came when Darrell Sheets spent $3,600 on the contents of a unit.The locker was filled with original art by Frank Guttierez, estimated to be worth approximately $300,000. Apparently the unit belonged to Guttierez and he had failed to pay the rent.